The military says it hit an underground security site and Hamas naval targets Tuesday. The military says the strikes were also in response to ongoing Hamas attempts to dispatch drones and burning kites that have burned Israeli agricultural fields. No one was wounded in the strikes. Hamas spokesman Hazem Qassem says they are merely "a new unsuccessful attempt" to stop the Palestinian protests along the border. Israeli fire has killed over 100 Palestinians during mass protests along the Gaza border since March. 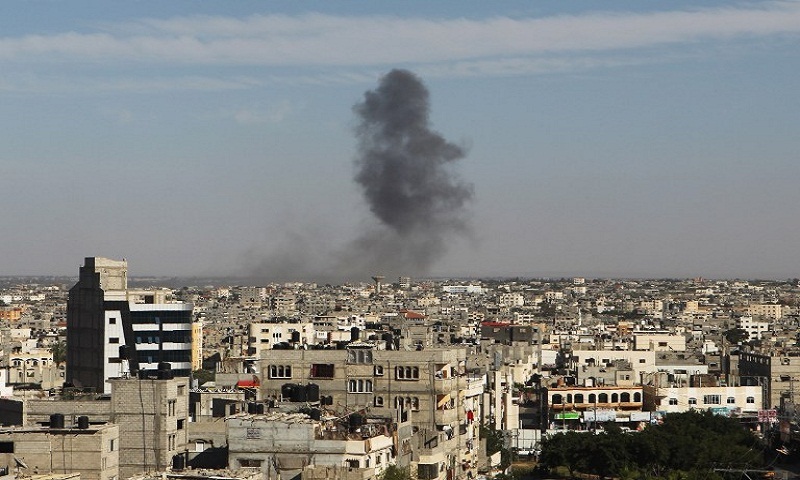 Israeli Defense Minister Avigdor Lieberman says the strikes destroyed another Hamas tunnel, calling the group's military efforts a failure and waste of resources.